Quantum computers represent a massive leap forward for computing capabilities, essential in this modern age where so many of our daily activities rely more and more heavily on our computers and the information we expect them to store. All this requires significant computing power which our standard computers are now struggling to provide. According to recent reports, if our insatiable need for computers continues in the current trend, it’s anticipated that by 2040 we simply won’t have the capability to power the world’s computers. This means that researchers have been working hard to come up with a more powerful system, and that’s’ where quantum computers come in. Standard computers process information in a binary format, using ‘bits’ (short for binary digit). Information is stored as a zero or a one. The big difference with quantum computing is that it utilizes the capability of subatomic particles to exist in more than one state at any time. This basically means that the ‘bits’ of data can also exist in more than one state at a time, providing significantly more power than a conventional computer. 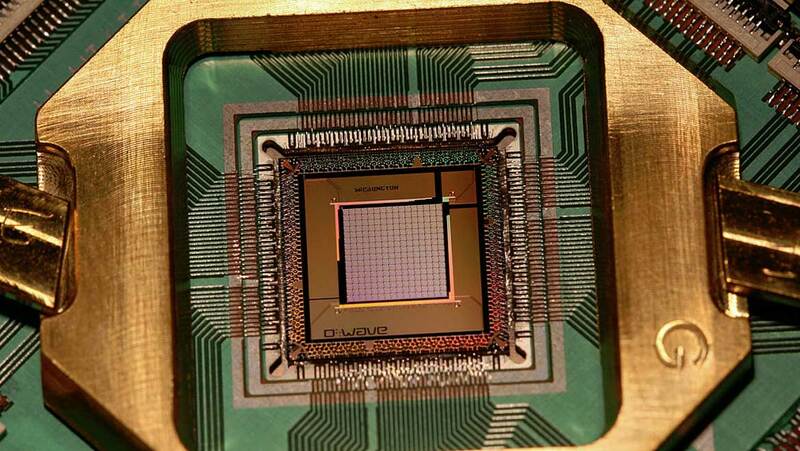 The bits used in quantum computing are known as ‘qubits’ and can also affect the qubits around them, using a process known as ‘quantum entanglement. The result of this is that in certain calculations, quantum computers can reach the correct answer far more quickly. This represent a huge leap forward for computing, with it being suggested that quantum computers will be able to offer incredibly secure communication, incredible levels of precision and the computing power to perform complex calculations that are beyond the reach of current technology. This could have massive implications for logistics, pharmaceuticals and artificial intelligence. The flipside is that this level of power also has huge implications for cyber-security. The sheer power of these machines could cause severe disruption for businesses due to their potential ability to breach even the most powerful cyber-security measures currently in place. The ability of these computers to deal with large numbers means many of today’s most complex encryption measures could easily be cracked. Despite the amazing range of potential applications for quantum computers, there are many challenges facing the developers. This includes the fact that qubits are extremely delicate, and very easily disrupted by noise, heat, electromagnetic fields and vibrations to name but a few. This also means that it’s very unlikely that these computers will be accessible to the majority of users anywhere other than via the cloud. Quantum computer systems are expected to be fully developed by 2020 and truly do herald a new age for computers and the way we use them. Top image: Photograph of the D-Wave TwoX "Washington" quantum annealing processor chip mounted and wire-bonded in a sample holder. This chip was introduced in 2015 and includes 128,472 Josephson junctions.